There is no denying that the traditional food culture in Cornwall is strong - and this is highlighted and celebrated every year with a collection of food festivals which aim to showcase the excellent work chefs and local producers do to create such high quality goods. So what food festivals are worth visiting in 2013? This has, in recent years, gone from strength to strength and is believed to be the only festival in the UK held entirely on the beach. This year it will be based on Porthminster beach on the 18th - 19th May. 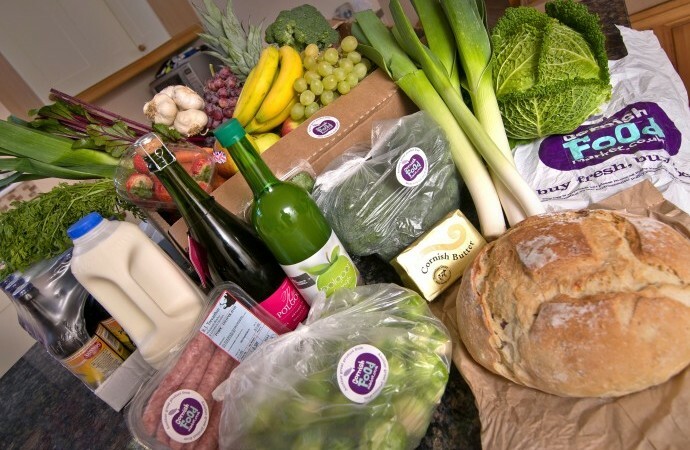 You can sample produce from all sectors of Cornish life, and is one of best places to go to see what the county has to offer. The world renowned Newlyn Fish Festival, which is the biggest of its kind in the UK, returns on the August bank holiday this year to demonstrate all aspects of fishing and the lives of fishermen to visitors. Education plays a big part - and some of the highlights include dramatic demonstrations by a number of chefs, talks by historians, a pilchard barbecue and a large amount of local stalls. For its tenth anniversary in 2013, the Truro based Cornwall Food and Drink returns to Lemon Quay to celebrate the very best of local food. New for 2013 is the pop-up restaurant, and a chance for some of the many visitors over the weekend of 28th - 29th September to sample for themselves a wide range of world class Cornish cuisine. Arguably food has transformed how Cornwall is seen by a lot of the world. The area is now deemed to be Britain’s Foodie Capital, and the culinary renaissance is bringing a new type of traveler to the area determined to seek out the best produce the area has to offer. If you would like to visit during one of these popular food festivals, Cornish Secrets offer luxury Cornish Cottages and holidays to perfectly accompany your delicious culinary adventure. There has been a recent economic survey of the United Kingdom by the government, and unsurprisingly Cornwall came out towards to bottom with regards to infrastructure, financial spend and employment. Cornish Secrets don’t really subscribe to that philosophy or way of thinking – and although financially Cornwall can’t compete with a lot of country, we think there’s a lot more here besides making money. Here are 5 reasons why you’ll never be poor in Cornwall. 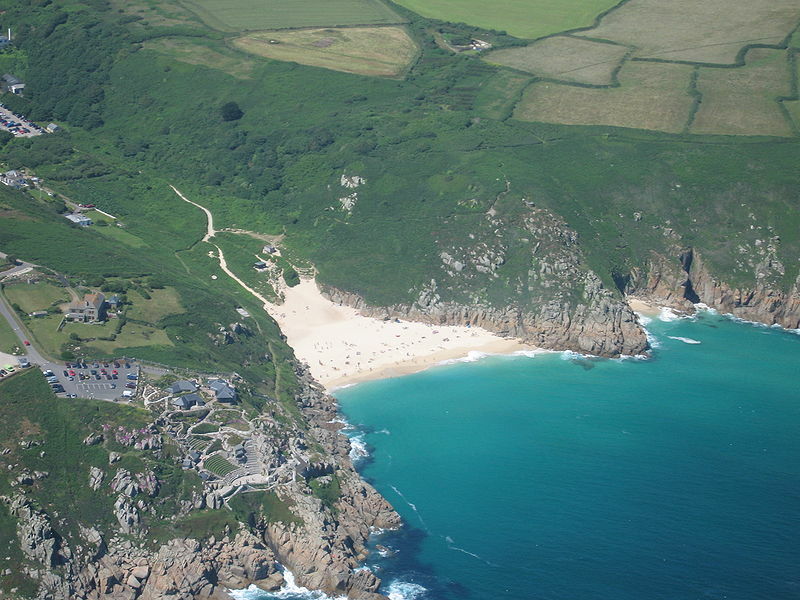 There’s not many places in the UK you can say rival Cornwall for the ‘togetherness’. The communities of Cornwall – from the artists to the surfers to the miners to the fisherman are part of the reason everyone comes together and makes the area such a special place to live and visit. From dramatic cliffs and rolling countryside to Cornish hedges and narrow lanes – the size of Cornwall as a county ensures variety and interest no matter where you go. There’s a bit of everything – the area is rich in landscape and geographic variety. Of course, the sea! The sea drives the very notion of Cornwall – the reason people come here, live here, breathe the air and come back for more. It drives the tourism, the economy and maintains the stunning landscape. Without the sea Great Britain is nothing, and it’s what makes Cornwall what it is. It has a richness nowhere in the country can rival. The history of Cornwall is not run of the mill. Stories which travel through ancestors make up part of the area’s DNA, and Cornwall is a wealth of history stretching back further than a lot of the rest of the country. The idea of making your own way – striving for yourself and an alternative way of life – that’s what makes Cornwall rich. As a region it doesn’t feel the need to conform to the way the rest of the country feels the need to live. It’s unique, diverse, and rich in culture and best of all provides an experience like no other. If this sounds like what you’re after, Cornish Secrets operate a wide variety of beautiful Cornish Cottage holidays and alternative stays in some of the most beautiful parts of the county. Contact us today for more information. The Downalong area of St. Ives - best described at the oldest and arguably most picturesque area of the town, has kept holidaymakers and visitors coming back time and time again to explore the maze of tiny streets and sample the wealth of local history. Rising to worldwide prominence through the artist movement in the mid 20th century, the area has always been the subject of fascinating activities. In this blog post we will explore just a few and provide an insight into the history of the area. 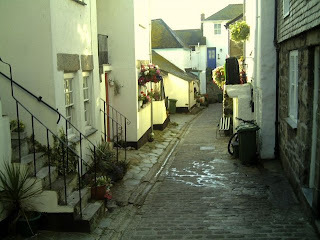 The history of St. Ives, and indeed the Downalong area of the town, traces its roots back to the middle ages. Establishing itself as the main fishing and trading port in the area, the town grew from the harbour into nearby cottages and small streets where fishermen lived.The labyrinth of small, narrow and often crowded lanes gave the town its character as it developed - with small cottages situated amongst shopkeepers and traders - grocers, butchers, bakers and market sellers would all vie for space. Much the same applies today; the tourist trade bringing a new life and a different atmosphere to this part of time. There was a time when St. Ives boasted a large fleet of fishing vessels, with mackerels and pilchards, as well as the shipping of mineral ore, the main economy of the area. The workers would inhabit the Downalong area of the town, often with many people crammed into small spaces and tiny cottages which have since been developed or extended. It was initially a prosperous industry, with thousands of people in employment before the fishing market started to change and dwindle in the mid 20th century. By then however there was a new focus to this part of town. Gaining attention from a small group of forward thinking artists, St. Ives became a summer haven for many well known painters and sculptors of the day - from Barbara Hepworth to Patrick Heron, Terry Frost and Peter Lanyon. Their work put West Cornwall on the map to a new breed of artists and visitors to the area - and with their work being displayed internationally this gave the opportunity for St. Ives to also develop a new kind of tourist. As the tourist trade developed, helped in part by the art, the Downalong area changed yet again from a hive of artistic activity to the beautiful and classic holiday accommodation we now know today. The transition of this part of town over the years has retained many of the features that original inhabitants of the area could recognise. Tastefully decorated cottages and apartments attract people from all over the world to sample the atmosphere of St. Ives - with an ever increasing range of attractions, restaurants, cafés and shops to accompany the stunning local beaches. With the weather warming up, the sun coming out and the tourist season beginning in earnest, Cornwall's most famous activity will once again be in the spotlight for locals and tourists alike. 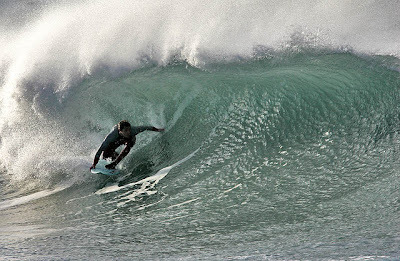 Many thousands of first time surfers will take to the water in 2013 - so here are five tips to bear in mind and to watch out for that could help you or someone you see this season. It's often misunderstood - or misinterpreted - but it's important not to push yourself too far. Although much of surfing is being able to enjoy the challenge - ensure you don't do anything obviously and evidently beyond your capabilities. Knowing a little about what the sea looks like in certain conditions and how the ocean behaves can go a long way in determining where and how you surf. Look up the weather, study wind and surf patterns and be sure to understand when it's best to stay clear. When moving fast surfboards carry a lot of momentum and can be dangerous if racing uncontrolled towards shore. They are also considerably lighter and more buoyant if left unattended. Keep the leash secured. One of the biggest factors in surfing accidents - take care of those around you and watch out for other sea-goers...especially on big or popular breaks. There are established rules of surfing which can be dangerous if ignored...the outcomes are never pleasant and sometime life changing. It's worth bearing in mind these points as you embark on a day out surfing from your Cornish cottage - safe in the knowledge that both you and those around you will be safer for it.